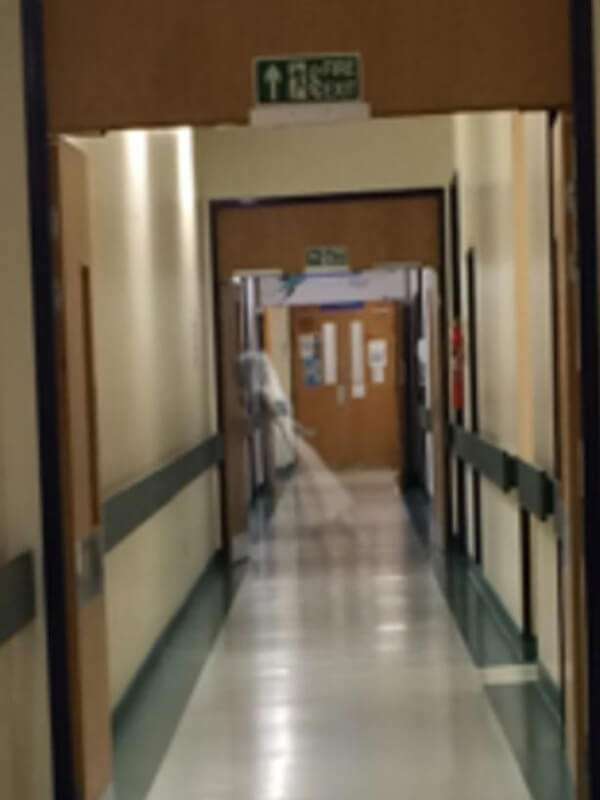 A hospital worker says he took this spooky picture of what appears to be a ghostly figure near a children’s ward. Andrew Milburn was texting his girlfriend at Leeds General Infirmary on Friday night just before starting his night shift. To prove he was at work, he sent her a Snapchat image of a corridor on the hospital’s Clarendon Wing. 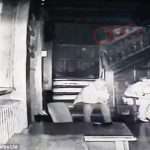 But the 21-year-old says he had no idea that the picture actually appeared to show this ghostly looking figure. Andrew told Mirror Online: “My girlfriend asked me to prove I was at work so I sent her a picture as I walked to my office. 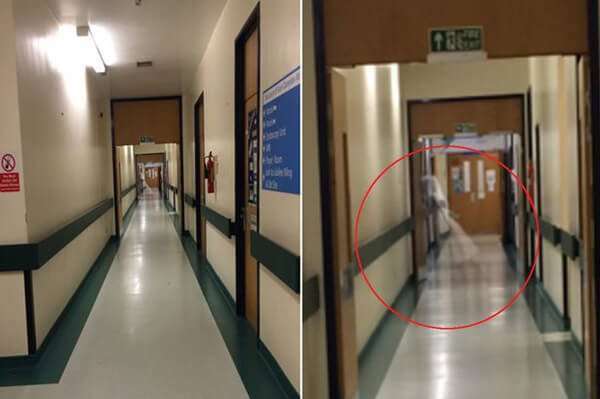 “Unbeknown at the time it appears that I captured a ghost figure in the corridors. Andrew, who has recently returned to work after a career break, says the room the ghostly figure appears to be walking into is where the switchboard works. 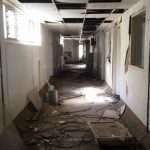 He said a number of colleagues at the hospital have heard footsteps at the spot when no-one is there. A number of people on Facebook claimed the image had been photoshopped, something Andrew denies. 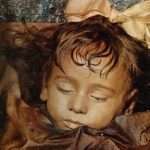 Others claim the image may have been created using an app called Ghost Capture, which allows users to place a pre-existing ghost image into their own photographs. 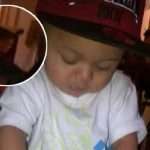 Do you think that’s a ghost in the picture? 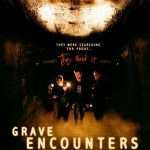 i believe bcs i had an encounter myself in australia,in the house we lived in in Cessnock NSW and we had to leave !!!!!!!!! !